We received lots of BRILLIANT postcard entries for our summer competition, which left the judges with a tough job when picking a winner because they were all so wonderful and creative! 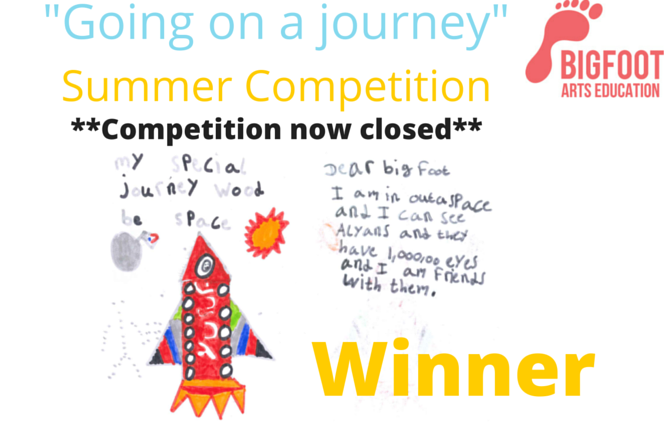 Congratulations to Yusuf from Norbury Manor Primary school with your Going on a journey to Space entry! Well done to our runners up Ria from Priestmead Primary School and Keira from St Mary’s Church of England Primary School! Head over to our competition page here > http://bit.ly/1TloVLD to see our brilliant shortlist and keep an eye out for other amazing entries we received! Thank you to our competition judges! Excellent efforts from everybody! Very well done.